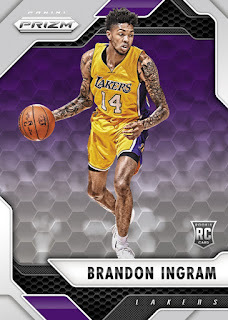 Arriving Wednesday, March 15th at Sports Cards Plus is a special Mosaic Prizm set for our customers. 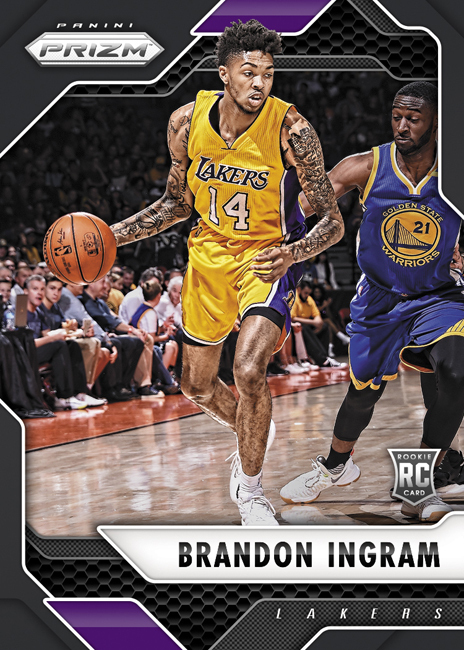 The set will include 100 base Mosaic Prizms (encompassing both 2016-17 veteran stars and rookies) as well as Red, Blue, Camo (numbered to 25), Gold (numbered to 10) and Black (numbered to only one) parallels. 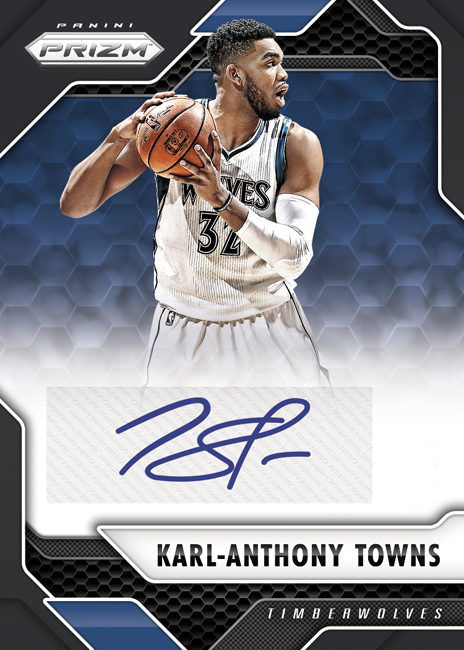 In addition, there will be a 28-card autograph insert featuring signatures from top 2016-17 rookies (including Brandon Ingram, Jaylen Brown, Buddy Hield, Kris Dunn and more) and superstars such as Stephen Curry, Anthony Davis, Kevin Durant, Karl-Anthony Towns and more. In addition to base autographs that will be unnumbered, there will also be Gold autographs (numbered to 10) and Black autographs (numbered to only one). This promotion-exclusive set will utilize new photography not used in the base 2016-17 Prizm Basketball set and unique numbering. 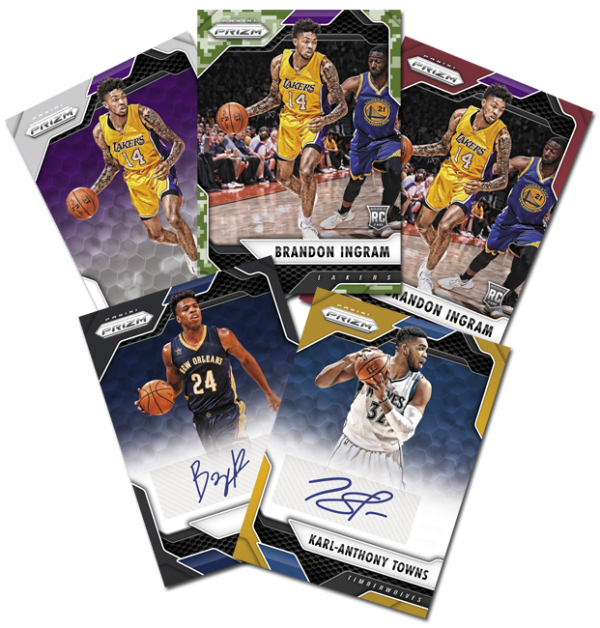 Each box of the Mosaic Prizm set will include three 10-card packs and autographs will fall one every three boxes, on average.